Action Green Clean provides green office and home cleaning in St. Louis, MO, Maplewood, MO, Richmond Heights, MO and surrounding areas. 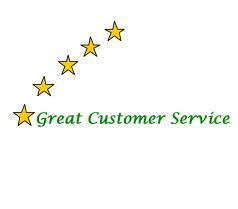 Action Green Clean was founded in 1991, operating as a commercial cleaning company under the name American Cleaning Services. Since that time, we have expanded our services to residential customers in 1997. In 2009 we converted our cleaning into green cleaning and therefore changed our name. We are locally owned and operated. Office and Home cleaning is provided for St. Louis, MO, Maplewood, MO, Richmond Heights, MO, Brentwood, MO and surrounding areas. We believe that "Commitment - Integrity - Service = Customer Satisfaction." Cleaning is done with excellence, keeping our customers our #1 priority. We believe cleaning services should simplify your life, give you more free time and deliver peace of mind. Call us at (314) 781-3815 for your free estimate or click We appreciate the opportunity to earn your business.